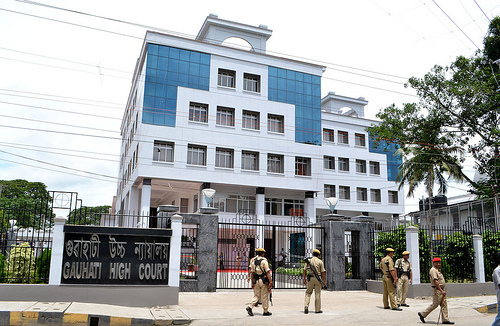 The Gauhati High Court on Monday rejected the bail petitions of arrested ACS official Himangshu Choudhury and absconding ACS officer Nisha Moni Deka. The two Assam Civil Service officials had sought bail on grounds such as ‘having a baby to take care of’ and ‘upcoming marriage’. The counsel for Himangshu Chiudhury, an ACS officer, pleaded before the High court for his release on bail since his wedding is scheduled for November 30 and the date was fixed prior to his arrest. Absconding ACS officer Nisha Moni Deka’s advocate told the High court that she is a mother of a two-month-old and should be granted pre-arrest bail to take care of her child. While the 23 were ACS, APS and allied service officials were arrested in the past few days in APSC cash-for-job scam, two other ACS officers—Nisha Moni and Rakesh Gupta–-are still at large.